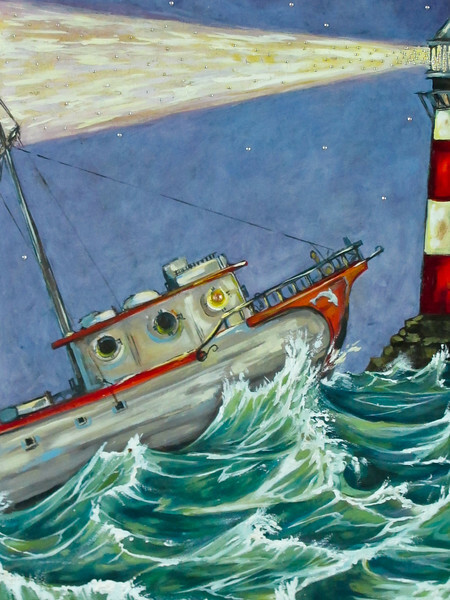 Heya Design Sponge fans - Charleston and Savannah dates announced and info here: Design Sponge Book Signing and Craft Event. 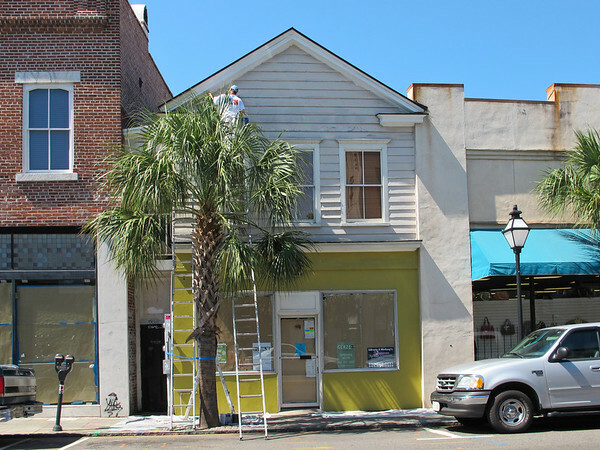 It will be at Dwelling on King St. 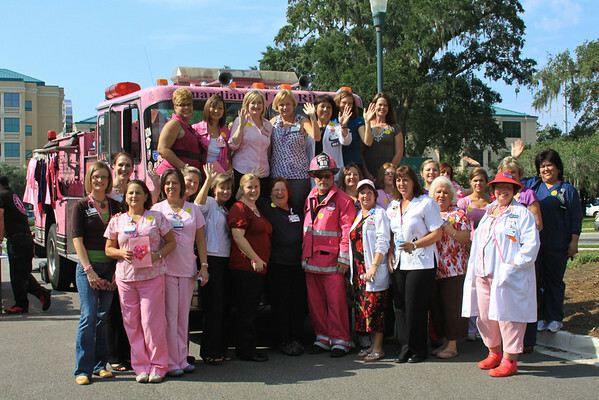 Radiation Oncology crew with the Pink Heals Tour, Charleston, S.C. 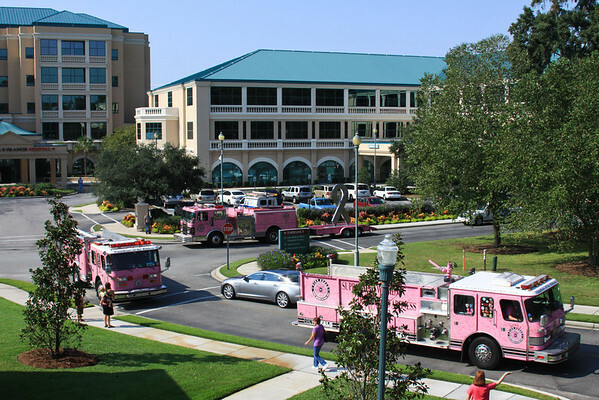 The Pink Heals Tour Fire Engines roared on to the hospital campus this morning and by the time they were done we had four of the bright pink engines parked in front of the Cancer Center. It seemed like everyone there had a name to scribble on the trucks in memory or in honor of a survivor or a loss. More photos uploading here. 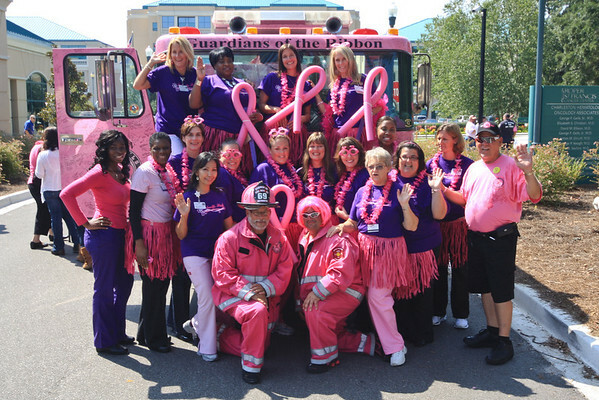 It was a colorful hot pink photo op - you might need to wear shades! I buy the occasional powerball ticket but never remember to check it. Never. I simply buy a day or two of fantasy. I assume that if I really win something I'll read a headline in the P & C saying, "King St. Convenience Store Sells Winning Ticket" and I'll hope to find it crumpled up in the bottom of my backpack. Someone landed on my blog after googling "elderly women to date". Sad. Someone landed on my blog after googling "parks in Afghanistan." Amazing. I walked through parks in Kabul many years ago. True shallow confessions - I watch Tosh.0. He can be so awful with a happy smile. Isn't it amazing how people believe your entire job consists of the one tiny project that relates to them? Sorry caller. I know my tone was icy. I went to bed perfectly happy and woke up wanting a black trench coat. How do these things happen? The end of tomato season is scaring me. 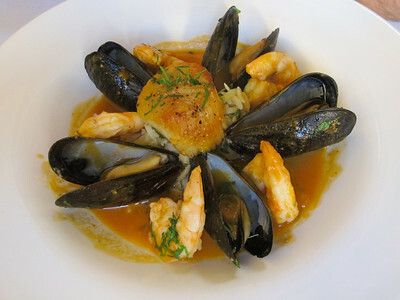 I need some of Chef Nico Romo's curried crab soup soon. Mmmmm. Am I the only one that finds the Charleston Farmer's Market claustrophobic? There is an entire park available. Can't we move the stalls back a few feet so people can actually walk? Huh, huh, huh? It's already dark too early to take pictures on my evening walkabout so you get the leftover weekend shots. 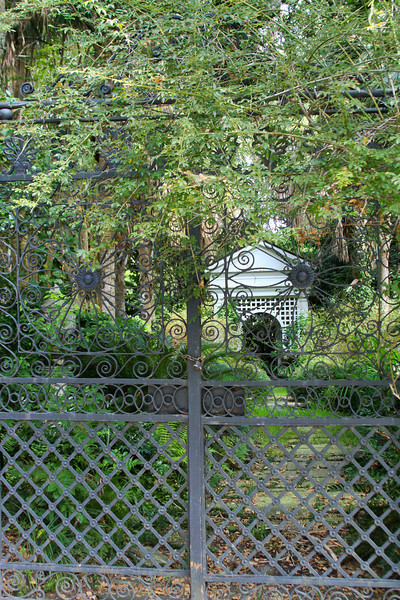 I wouldn't advise climbing over this gate on King St.
Church Photo in Lieu of Attendance - King St., Charleston, S.C. I used to post a church photo every Sunday but I've been slipping lately. Here is a little sweetie I spotted in a window in lower King St. Here are some of the earlier posts in the series: Church Photo in Lieu of Attendance. So sad to say goodbye to the weekend. I hope you have all had a good one. Labels: church photo in lieu of attendance, King St. I got away from my office on Friday afternoon and met up with fellow volunteer program managers at the conference center at James Island County Park. 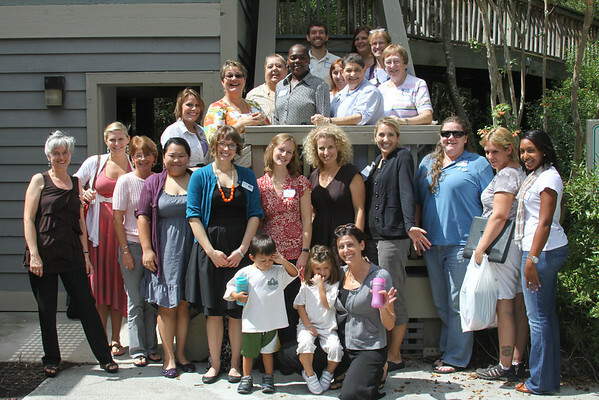 The group is called LASCAVA and is the lowcountry branch of the SC Association for Volunteer Administration. I don't want to boast, but this groups pulls the strings behind the scenes on an awful lot of what goes on in this town. 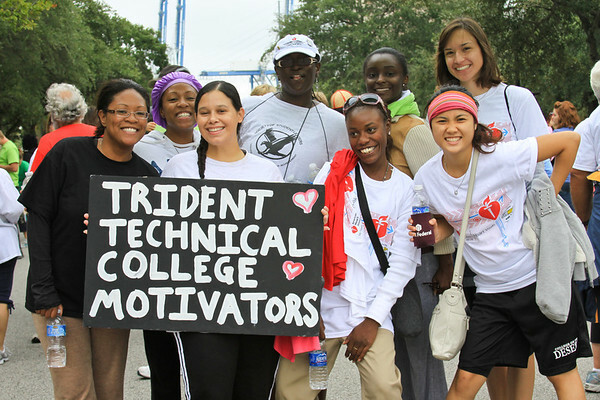 You might not know us but these ladies and gentleman coordinate recruit, train and place volunteers who serve in hospitals, hospice, libraries, meals on wheels, Water Missions International, Habitat for Humanity, Trident United Way, 211 Hotline, Parks & Recreation and more, more, more! 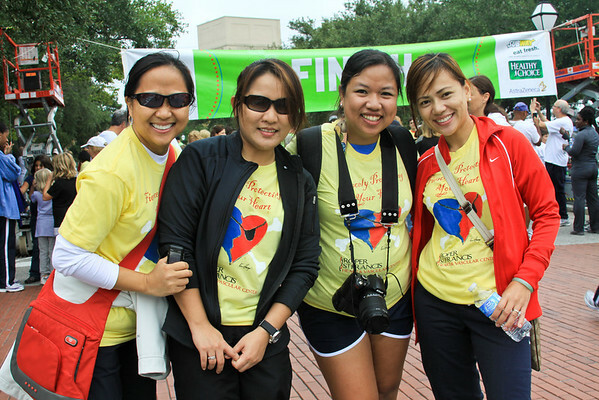 Hundreds of thousands of hours of community service annually flows through our hands. It's a pretty amazing group. We used to have canons guarding the harbor and now we have Guard Pigs. 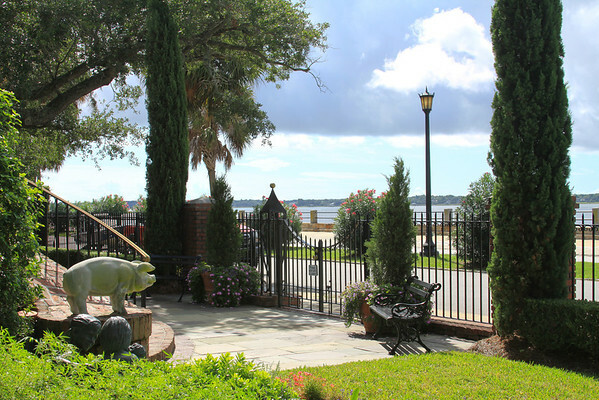 There is a pig on either side of the entrance to this beautiful home and I've been told it is the home of the owners of the Piggly Wiggly grocery chain. Check out the dramatic skies! I think we'll have another thundershower this afternoon but it made for wonderful pictures this morning. The only problem with long walks is that I come home starving. I stopped at the Savannah Bee Company shop on King St. for tiny bottle of sourwood honey and I'm eating it on toasted English muffins. So much for exercising to stay in shape. Oooooh......sticky keyboard. 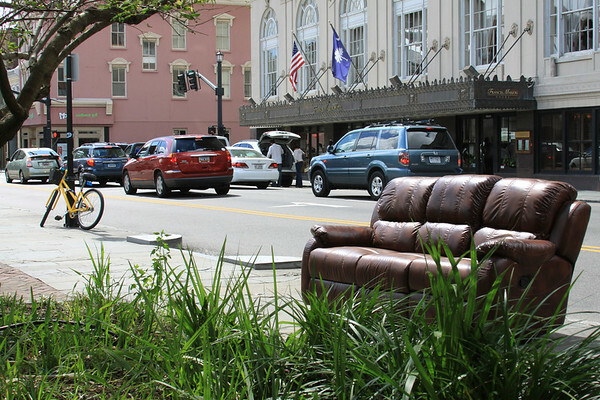 Charleston Hospitality, King St., Charleston, S.C. Put your feet up. Make yourself at home. 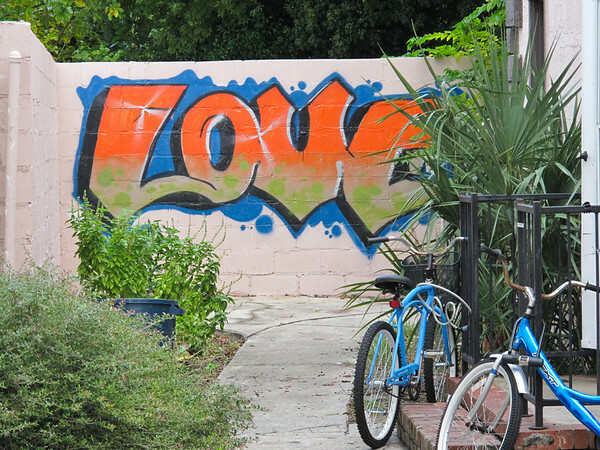 LOVE, Cannon St., Charleston, S.C. There are some benefits to living amongst the college student chaos - creativity! I don't think you'd spot this driving by but I can peek in driveways when I am on foot. Lot's of action around town. The Farmer's Market is packed so tight I walk the outskirts and just dash in for my tomatoes and there is an October Fest tent set up on upper King St. Y'all have a good weekend! The trees grew. 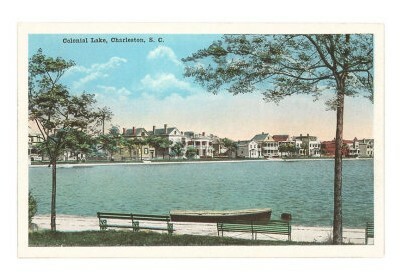 I notice that difference in so many old photos of Charleston. Hey - it's getting dark earlier. I need to get myself out marching before it gets too late. I took this a few weeks ago when I was climbing the stairs in all the parking garages in town to see what views I could find. I had to wait until another rainy day to post it. Cool, eh? We don't have too many tall buildings to get scenes like this. Thanks to Linda Benedict from Island Life newspaper for inviting me to the "Night for the Children" gala at McCrady's last night. It was a delicious treat as always and lucky for me I didn't win anything I bid on in the silent auction. My plan of attack is to look like a participant by bidding early when everything is affordable and assume that I will be outbid. I am home early after a workshop at James Island County Park, my evening plans have been unexpectedly cancelled and the rain is making my couch look awfully attractive. Later kids! Resolved, That notwithstanding we feel duly grateful to the Yankees for their past services in making our shoes, &c., we are now seized with a decided predilection in favor of French boots, and hope to get a supply as soon as our Southern President becomes inaugurated. 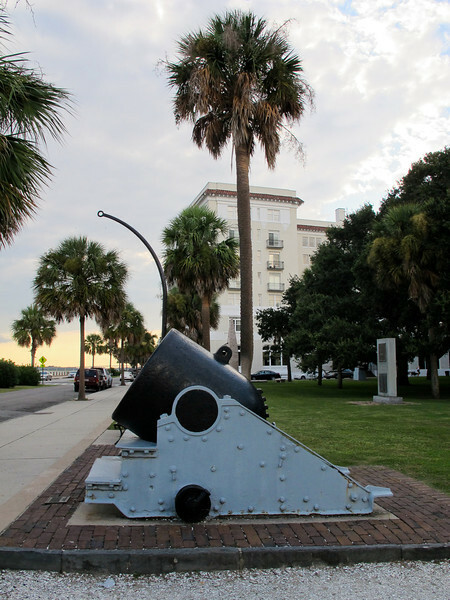 Resolved, That we wish the world to know our views on the present issue of events, and will therefore place them at the disposal of the Charleston Mercury. I've been here, I've been there, I've been everywhere. Worked late last night hosting thirty students interested in Pharmacy careers. They had a great time learning how to mix IV's, draw up solutions and package meds. The pharmacists had the brilliant idea to use candy for everything - they taught compounding drugs with frosting and food coloring, packaged Skittles candy and filled gelatin capsules with candy sprinkles. I saw more than one kid licking fingers. We probably sent them home on a sugar high but they learned a lot. I also finally got to meet night shift Pharmacist and fellow blogger From the Land of Palm Trees. Thanks for coming in on your evening off! 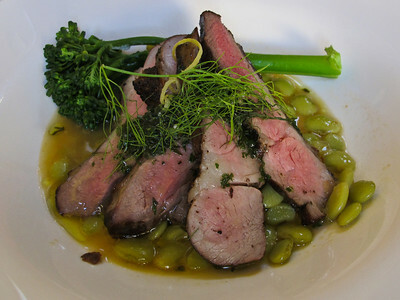 I got home late last night but just in time for a quick preview of the new restaurant Macintosh on upper King St. 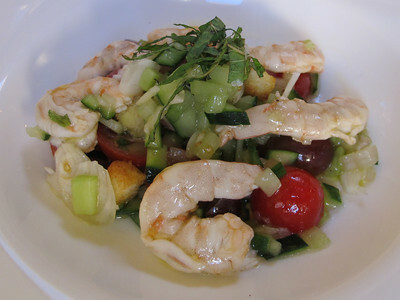 I joined friends who had already eaten but I was starving and happily tried a few things off the brand new appetizer menu. I think it officially opens this weekend and I'm looking forward to having dinner there. No menu on their website yet but I am sure it will show up here. I did my quick walk around the neighborhood this evening. I'm not going to like it getting dark earlier. As I headed back down my street I passed two college girls who said, "Hey! You look just like Susan Sarandon!" That's a new one but I think I'll take it. Mary: It's a secret garden. Dickon: Secrets are safe with me. Pulling up for gas. Luckily we didn't need any. 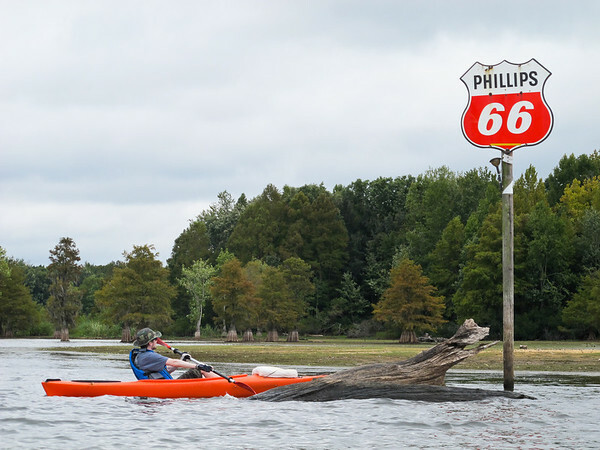 What the heck is this sign doing in the middle of nowhere on a lake? I get such a kick out of these quirky sights that we paddled all the way around a little island to get a photo from the front. How funny. I had a perfect morning yesterday kayaking with my son. It was a cool weekend and none of the regular boaters ventured out. 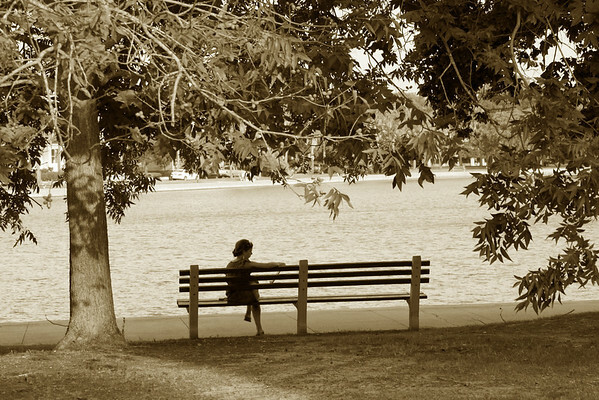 Birds were huddled under the trees as if they had forgotten that summer didn't last forever. I'd almost forgotten myself but this is sweet. I made a big pot of potato soup full of cream and bacon wickedness. There was so much going on this weekend. 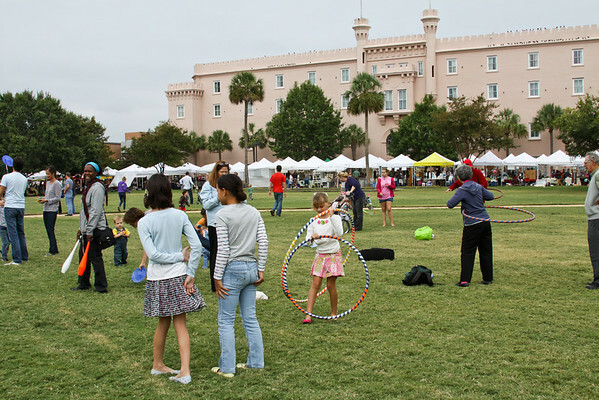 Besides the Heart Walk, Scottish Festival and the Bridge Ride, I walked back through all these fun activities going on at Marion Square. Children were playing music in the park and kids of all ages were playing games. 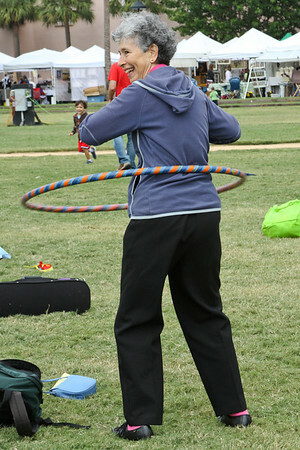 This lady was a wiz with a hoola hoop! 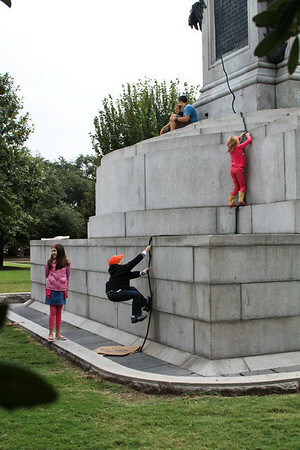 Climbing the Francis Marion statue is a Charleston tradition. I am so proud of parents who can let their kids do something outside the normal safety net. The glee on that little gal's face when she climbed up was priceless! I wonder if I have any clean clothes to wear for the week ahead. Sigh. Reality hits. Another year! 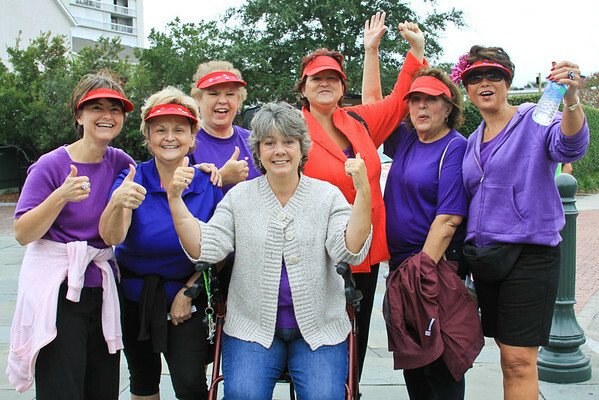 What a great gang of people turned out for the Lowcountry Heart Walk on Saturday morning. I am always touched by the survivors, from babies in arms to seniors wearing red ball caps to show that they are survivors. It was crisp and cool - perfect for the event. Thanks to Prisca for leading the Zumba class, the vintage cars, my Pirate King and Queen, the Lifestyle Award nominees and winners, the cute kiddies, dogs and pets, the AHA staff and everyone who showed up and made it so much fun! Y'all are the best! Thank you, thank you, thank you to everyone who contributed and helped me reach our goal! It is a cause we can all feel good about supporting. 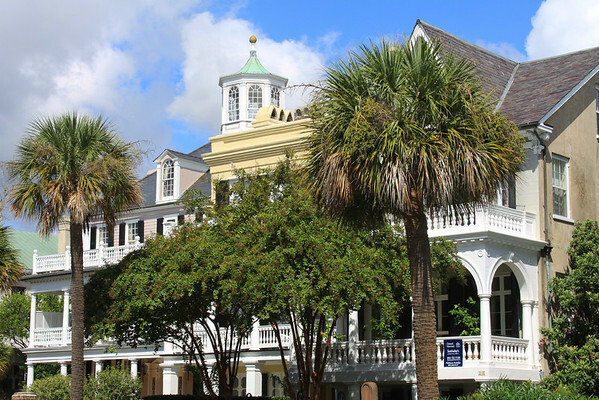 Aiken Rhett House, Judith St., Charleston, S.C.
Oh, my pretty little weekend. I love you. It's been a non stop week but I was able to sneak out in time to do my very favorite thing - get to the Terrace Theater for a matinee. There is nothing that suits me better than sitting alone in the dark and letting the work week slip away on a Friday afternoon. 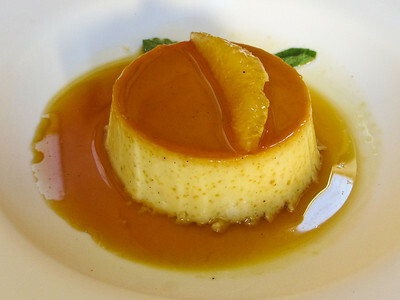 I got my usual cuppa hot tea and since I've been a very, very good girl, I picked up a piece of the caramel cake. Ouch. They started selling the cake during The Help but I didn't plan on being tempted on a regular basis. Danger. This afternoon I saw The Guard which I liked very much and then sat outside next door at Savory and enjoyed a bowl of hot soup. The air is crisp and cool! It's a Charleston miracle. 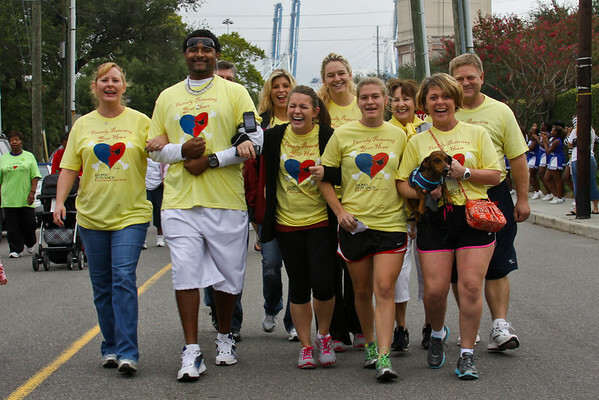 I don't need to walk this evening since I will be walking to and from the Lowcountry Heart Walk in the morning. I am going to be completely lazy. 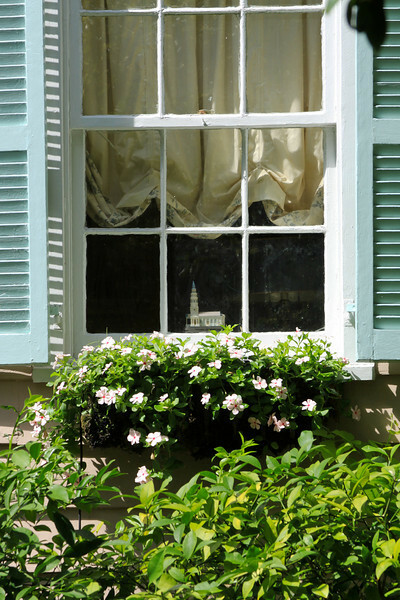 Today's photo is of the Aiken Rhett House on Judith St. It isn't on my regular walking route so I tend to forget it is there and then run into it and am stunned each time. Isn't it grand? I haven't done the tour since I first moved to Charleston. I should do it again soon. 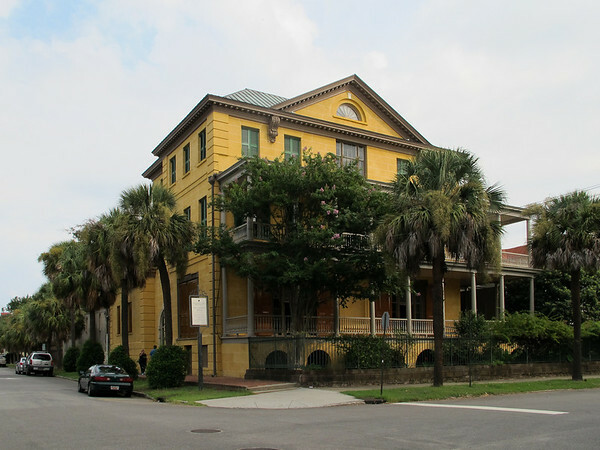 The Aiken-Rhett House stands alone as the most intact townhouse complex showcasing urban life in antebellum Charleston. Built in 1818 and greatly expanded by Gov. 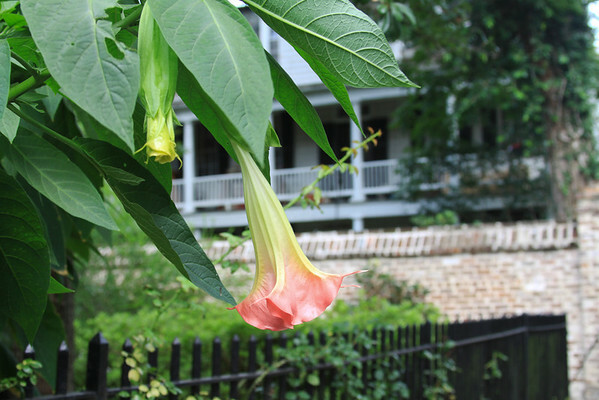 and Mrs. William Aiken, Jr. in the 1830s and 1850s, the house has survived virtually unaltered since 1858. 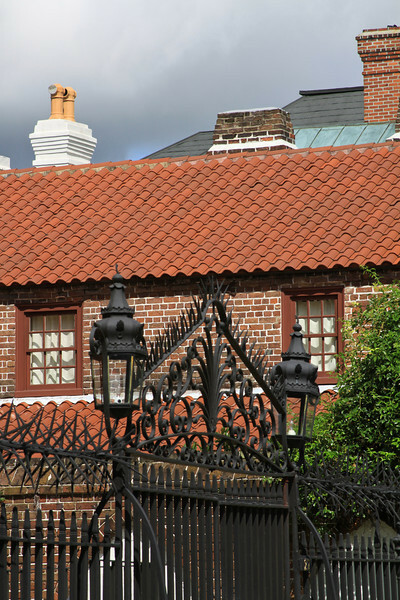 A successful businessman, rice planter, distinguished politician and governor of South Carolina, William Aiken, Jr. was one of the state’s wealthiest citizens. 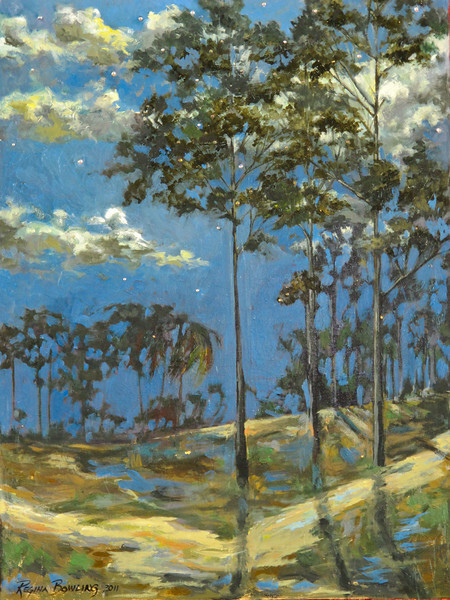 Following a well-established tradition among Charleston’s elite, Governor Aiken and his wife, Harriet Lowndes Aiken, traveled in Europe and returned with magnificent fine art and furnishings. Today, visitors will find many of these objects in the same rooms for which they were purchased. 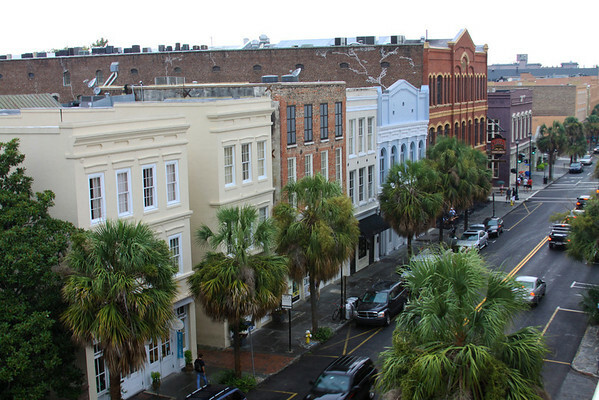 North Market St., Charleston, S.C. I've been missing in action lately. Whew. It is one of the busiest times of the year for me but things should let up shortly. 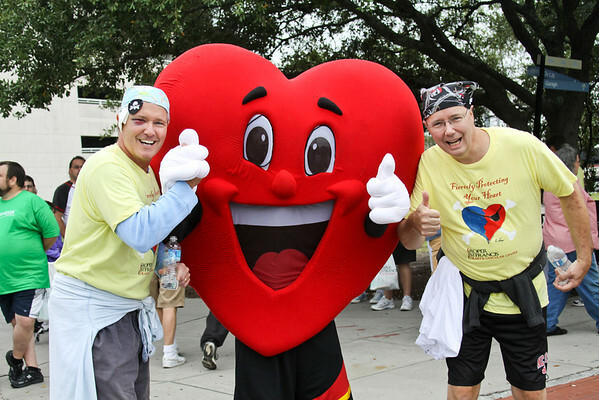 I am a big American Heart Association supporter and the Lowcountry Heart Walk is this Saturday. 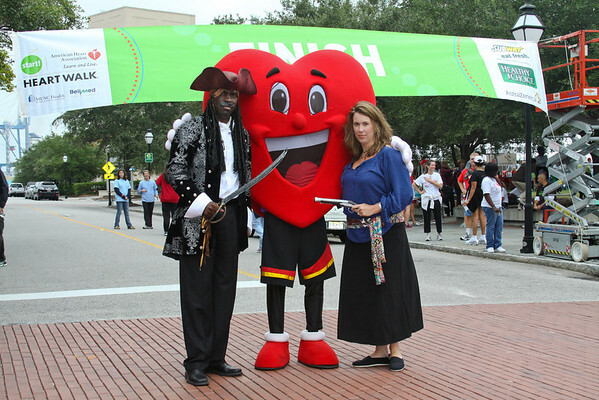 I love the advances that have been made in awareness of ways to prevent and treat heart disease. In the time I've been in healthcare the changes are incredible. I can't help feeling that I am on a winning team. On Saturday I intend to take over 500 people to the walk and by the skin of my teeth we will have raised $40,000. Yesterday I held a day time silent auction at work. I had no idea how it would work since every auction I've ever been involved in required alcohol to loosen the purse strings. Heheh. We did fine and I set up a table and sold matted prints of some of my photographs. My office looks like a yellow bomb exploded with boxes of walk shirts and people have been handing me money as I walk through the halls. My little head is swimming. I made it to town in time to talk down to the Heart Association on King St. to turn in another cash filled envelope and felt pretty good about it. I am so grateful to the people I work with for making this project so much fun. Go team Pirates! Here is the link in case anyone is inclined to join the festivities, walk, come take pictures or make a donation. We'd be glad to have you! 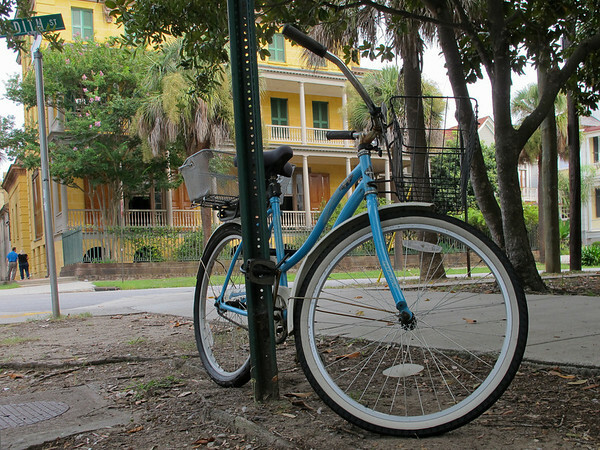 Today's photo is fresh off the pavement. 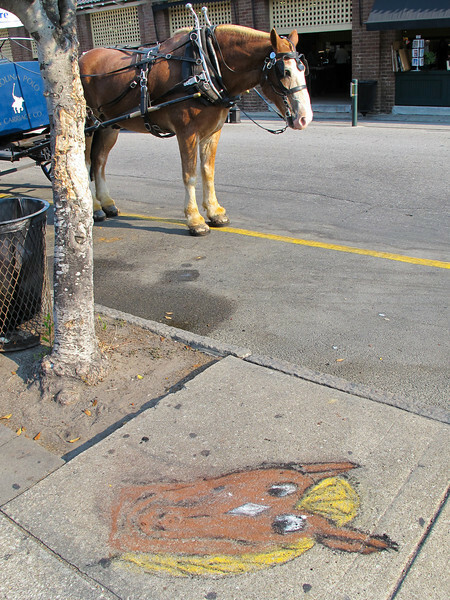 There were a couple of chalk drawings but this one lined up perfectly. It's been years since I rode a steam engine train but for some reason the cooler air made me think of it. 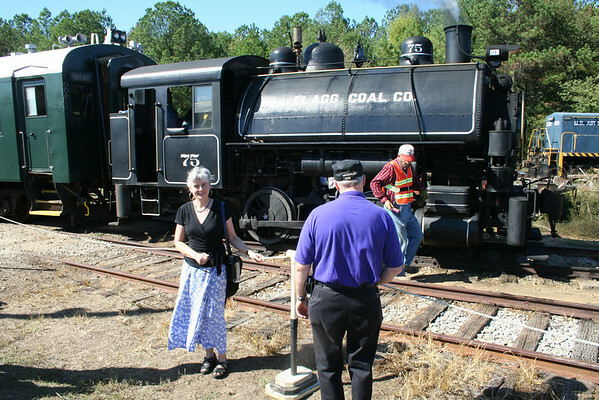 I checked the web site to confirm that they still offered the fall train ride in Winnsboro and tracked down these pictures from a few years ago. I did it all in time for you to make your plans for a day trip. See the schedule and link below. What fun! I used to ride the old British steam engines in India with bits of coal dust floating in the windows. We'd buy sweet hot tea in thin clay mugs at station stops and then gleefully throw them out the window to crumble when we were done. It was much more satisfying than drinking from Styrofoam cups. Fares subject to change without prior notice. There are no advanced ticket sales. 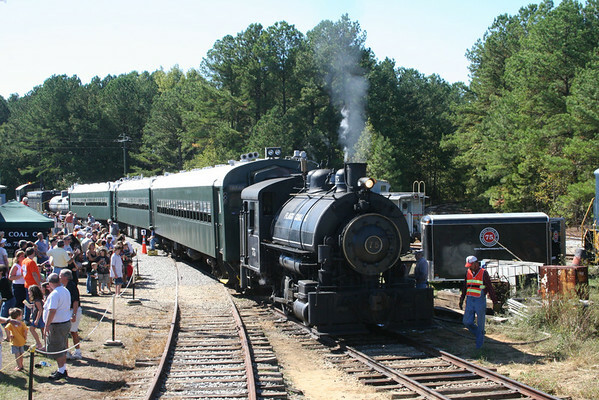 The museum reserves the right to cancel, reschedule trains and operating days or to substitute equipment, or adjust the trip length as required or necessary.For more information, please call 803-635-4242 (9-5 Weekdays) or call 803-635-9893 (Recorded message only). Mount Pleasant Hospital Chapel, Mount Pleasant, S.C. 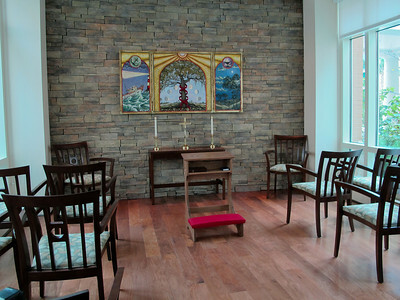 I was over at the new Mount Pleasant Hospital last week and peaked in the little chapel to see the art work that I'd heard had been hung. 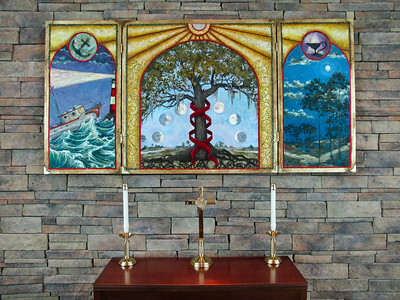 Artist Regina Bowling had done a beautiful mural for the hospital lobby so I was curious to see what she had come up with for the chapel. Wow. I loved it on first impression. I'll have to study the photos to understand what it all means. It has been painted on a wooden frame that looks like it is covered in gold leaf and the colors are more brilliant than I have been able to show with my camera. it's definitely worth a visit if you are in the area. 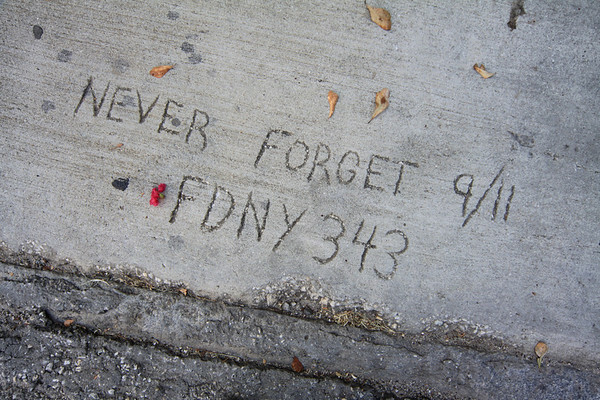 Inscribed in the sidewalk in front of the Cannon St. Fire Station. 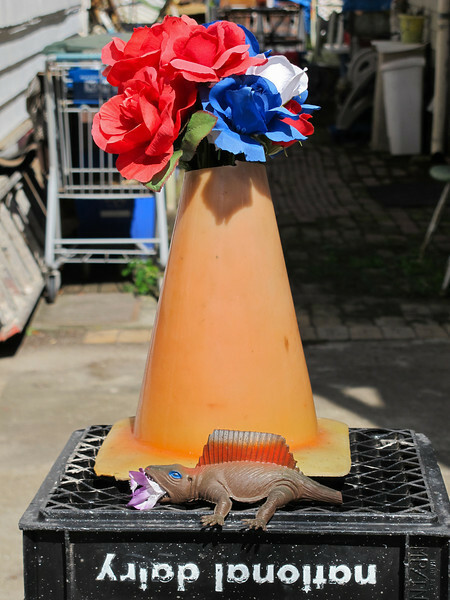 I like to check on the floral arrangement in the orange traffic cone vase on Bogard. The plastic reptile with the blossom in his mouth is a happy new touch. 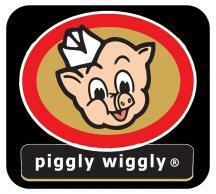 I walked the Spring, Bogard, King loop this morning and ran into Byron up around the Piggly Wiggly. I declined the offered chiropractic back treatment but did give him all the change I had. 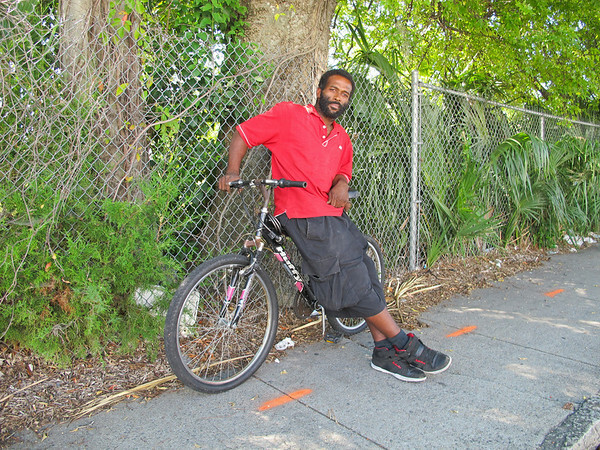 I hadn't seen him for a while and the update is that he is now banned from crossing Calhoun St. anywhere below Spring St. so his traveling area is narrowing. 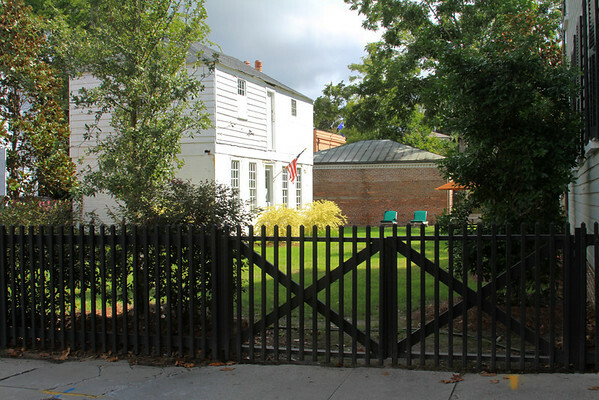 It is a perfect Charleston day and everyone (everyone but me) gets out to do yard work and home maintenance. This fellow is putting the finishing touches on what looks like a new doughnut store called "Glazed Gourmet Doughnuts". If you like them on Facebook you can suggest a new doughnut flavor. Stores keep closing but new ones replace them just as fast. Have a good weekend, kids. I am going to a friend's wedding this afternoon. Labels: Bogard St., Byron, King St.
How pretty is this? 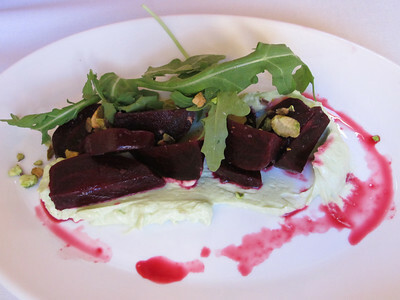 I'd never been to Muse before but took advantage of it during Restaurant Week. 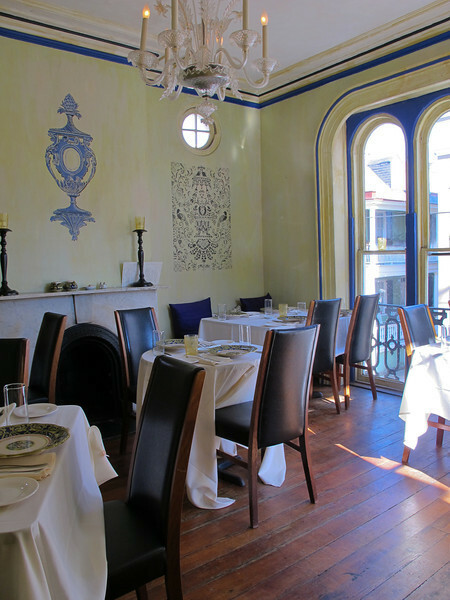 It is a little jewel box of a restaurant. 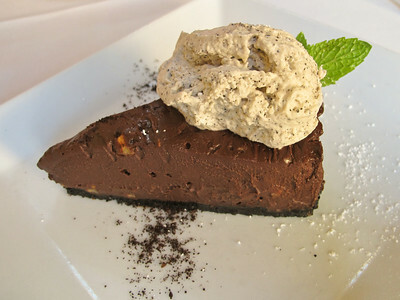 Sweet, sweet, sweet. I've owned an old home for too long. I kept looking at the elaborate painting and thinking, "damn, I'm glad I don't have to paint this room" but I am glad they do. It is gorgeous and the food was delicious. The pictures are in reverse order starting with dessert but I'm not going to fix them because my companion happily ruined the budget restaurant week deal by ordering a good bottle of wine. Hic. Labels: Charleston Restaurant Week, Muse, Society St.